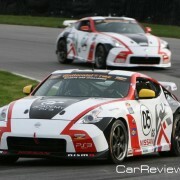 Have you ever dreamed of racing wheel-to-wheel against the pros? That dream became a reality for Bryan Heitkotter, winner of the Sony Playstation GT Academy contest of America. 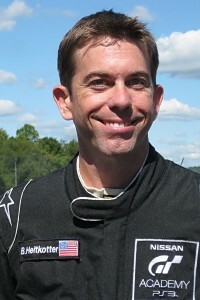 Bryan was awarded the opportunity to train and race with real professional race car drivers at the GT Academy driver development program after beating over 58,000 contestants. 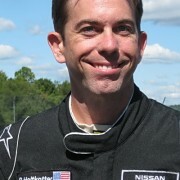 After three months of intense training at Silverstone and competing in several events in Europe and the U.S. to earn his international racing license, Bryan was entered in the biggest race of his short career as a pro race car driver – the GRAND AM Continental Tire Sports Car Challenge, co-driving a Nismo 370Z with Ryan Dalziel for A.M. Performance. Nervous and excited at the same time, Bryan proved he could compete alongside with more seasoned drivers by qualifying for the 12th position in a field of 71 cars — less than 8 tenths of a second behind the pole position. In-between practice sessions and qualifying, I threw some questions at Bryan to learn more about this seasoned gamer turned race car prodigy. 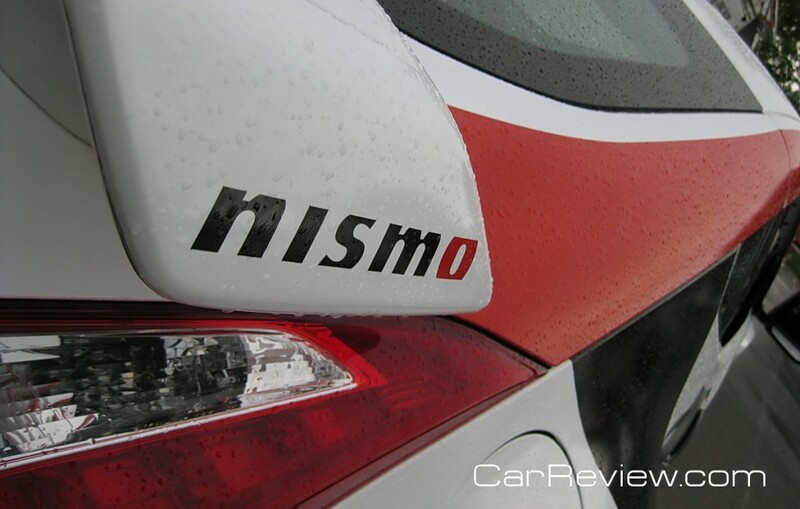 CarReview: When did you start playing Gran Turismo? 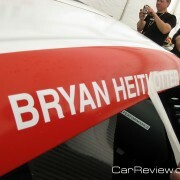 Bryan: Fascination with the game started with the original Gran Turismo back in 1998. After I discovered GT at a friend’s house I couldn’t stop playing. 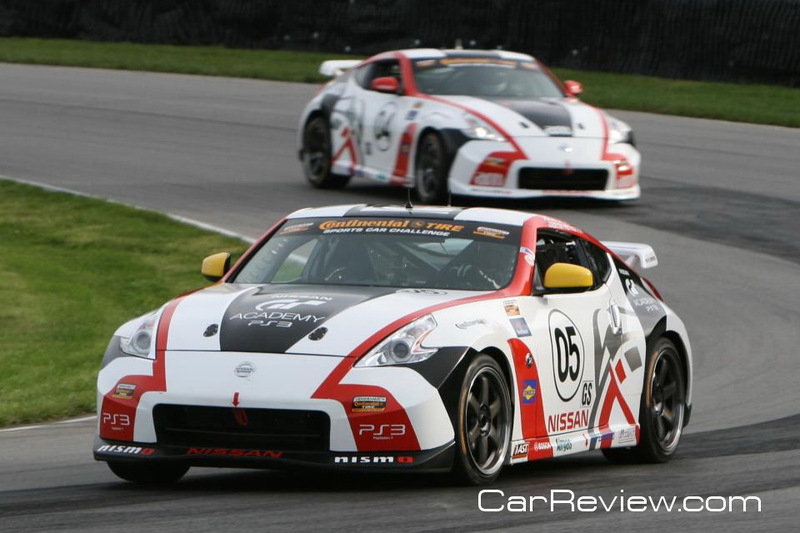 CarReview: Were you involved with motorsports before winning the GT Academy competition? Bryan: I competed in a lot of autocross events over the last several years, and occasionally participated in track days in my street car. I had no wheel to wheel experience in race cars, though. 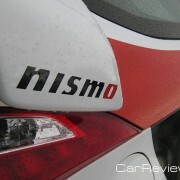 CarReview: What is the biggest challenge you have as a racing driver? Bryan: Answering tough questions from journalists! [only kidding!] To be serious, one of the things I want to learn more about is how to set up and improve a car. At the moment I can only report on balance and I want to be able to suggest potential changes knowing how they will affect the car. 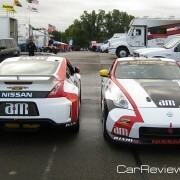 CarReview: Traveling to Europe and competing with world-class race car drivers must be exciting. Do you ever get homesick? Bryan: Sure, but I’d rather be racing in Europe than not racing at home! The European lifestyle is much different from what I am used to growing up in Fresno. Everything seems easier back home, but maybe that’s simply because I’m used to it all. 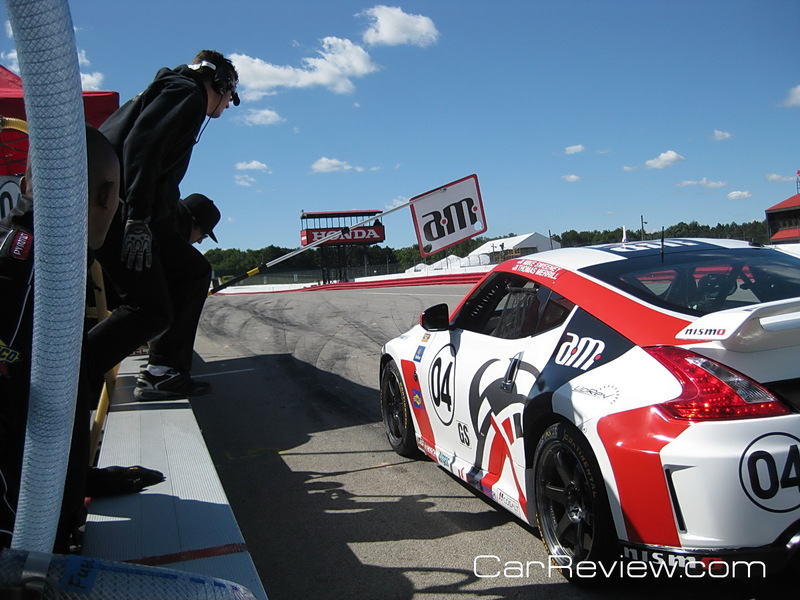 CarReview: What is the secret of your success behind the wheel? 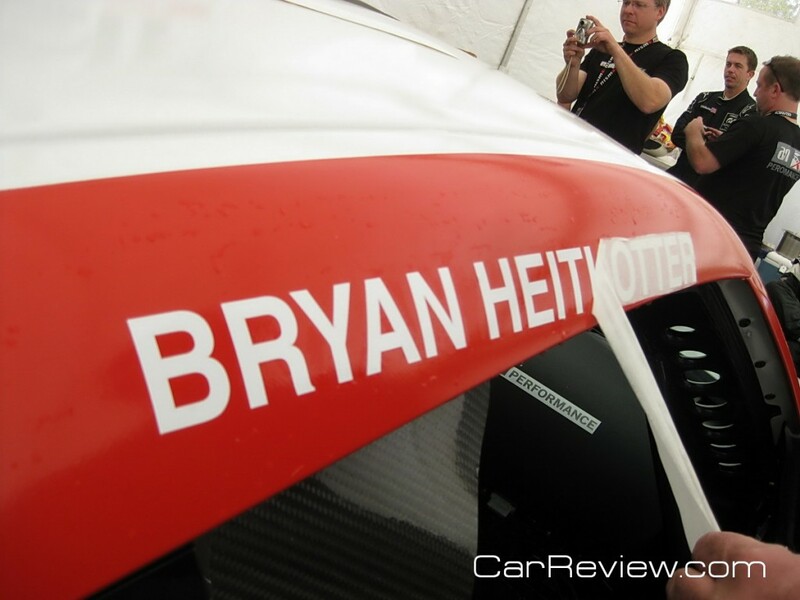 Bryan: I’ve had an endless passion for racing since childhood and ever since I started playing racing simulators and driving my street car in autocross events I’ve been relentlessly looking at ways to improve and be the best that I can be. I think a driver searches for perfection constantly, knowing they will never achieve it but pursuing it anyway. That has to be a big part of it. 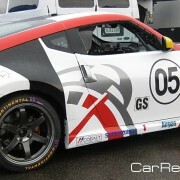 CarReview: What is your next big goal after leaving the GT Academy driver development program? Bryan: The big goal is to improve my racing skills even further and continue to compete as a pro-driver next season and beyond. 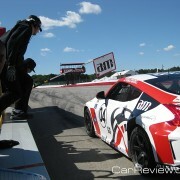 Bonus question: We know you have skills with drive simulations and on the race track in a real race car. Do you have any other hidden talents you want to share with the audience? Bryan: Photography is one of my other hobbies and I’ve been fortunate enough to have some of my work published in books and magazines. I mainly do automotive and motorsports photography. As you can imagine I have a lot of fun with GT5′s photomode too! To learn more about GT Academy driver development program and Bryan’s progress all the way to competing in a major endurance race, you can watch the GT Academy reality show which airs Tuesdays at 10:00 PM on SPEED channel. Time for a New President! It’s Fun To Be A Top Dealer For Chrysler!